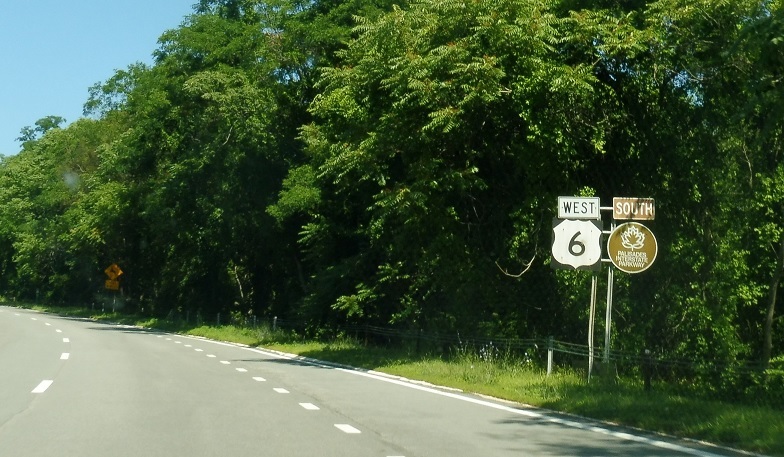 Reassurance shield as US 6 joins the Palisades, which begins here. Reassurance shield after a direct ramp from 9W south. 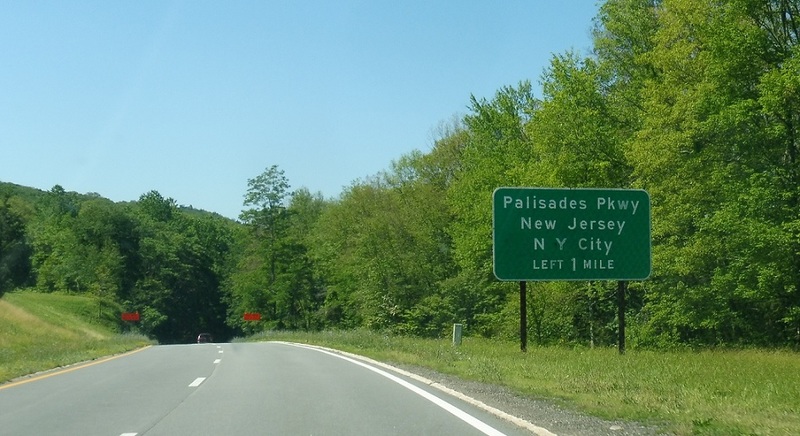 In a mile, exit left for the southbound Palisades to New Jersey and the city. 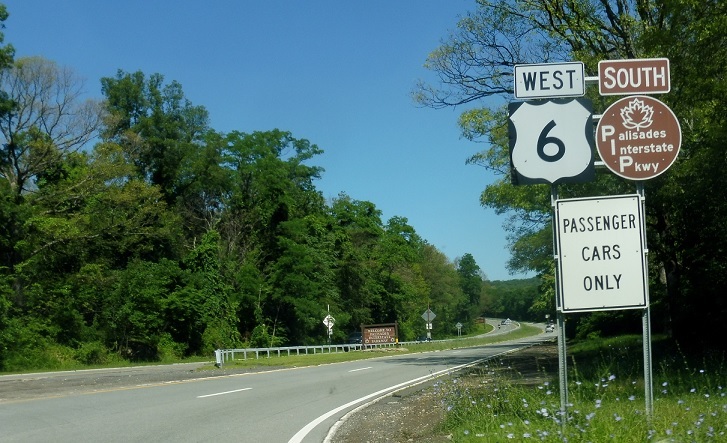 In 3/4 of a mile, US 6 will split from the Palisades as we intersect Seven Lakes Drive. 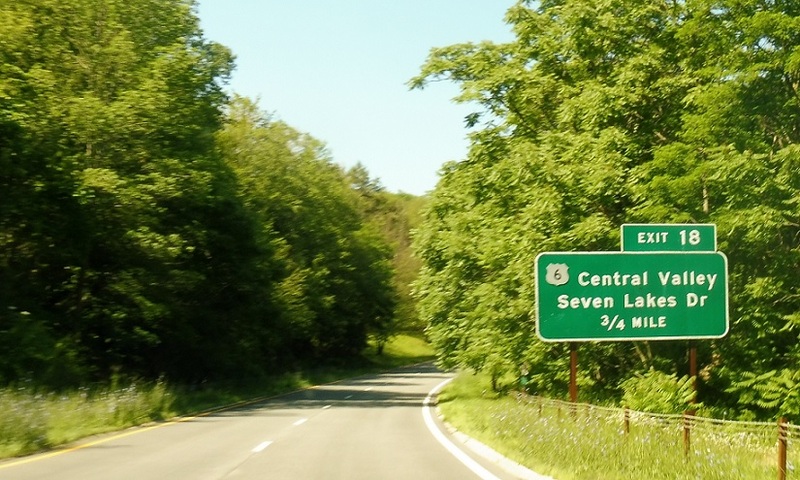 Seven Lakes Drive traffic merges on just ahead without access and briefly runs concurrent with US 6 and the Palisades.